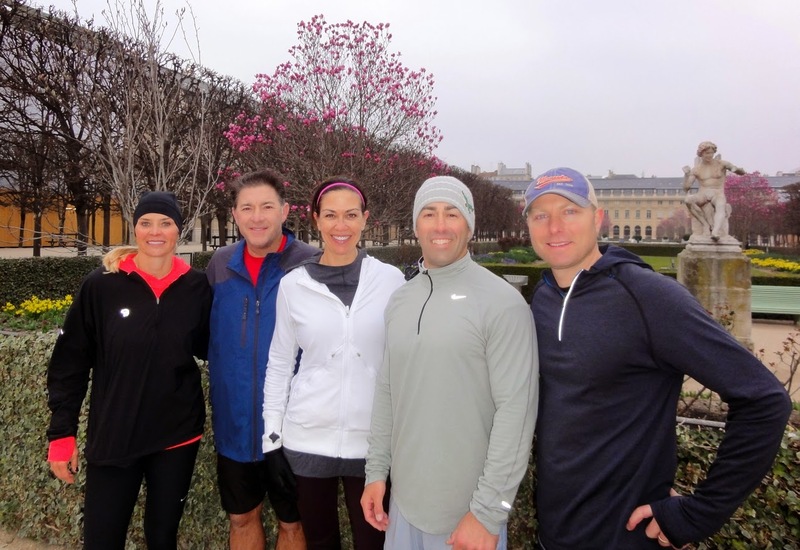 7:00 AM – Marni, Marshall, Laura, Jason and Peter are runners-friends coming from the United States. 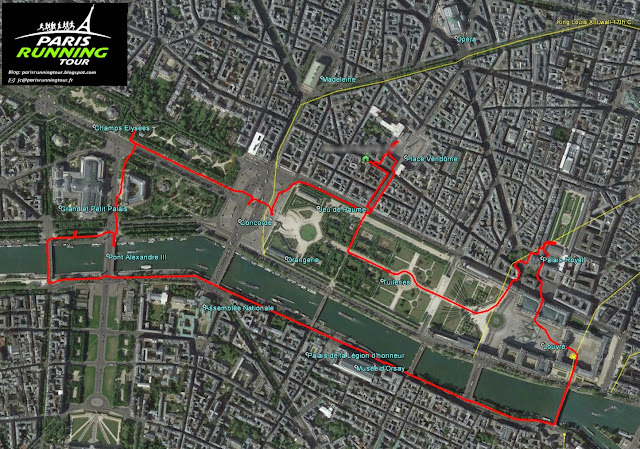 Paris is still a little bit chilly in this early spring. Magnolias begin to bloom, as here in the garden of the “Palais Royal” (Royal Palace). 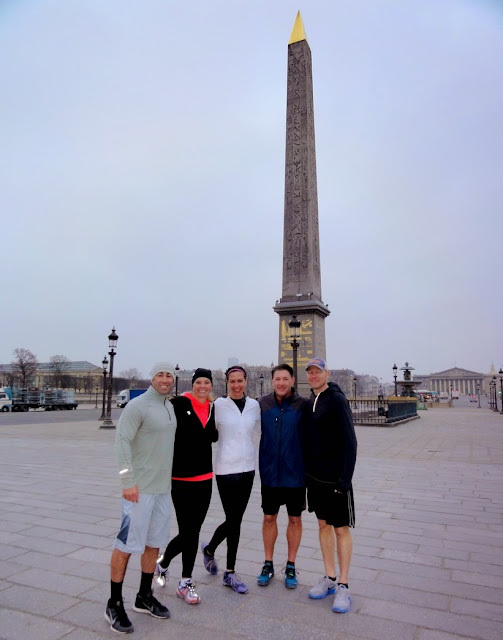 The Obelisk which we can see in the center of the “place de la Concorde” is more than 3000 years old. It comes from Egypt. The Pharaoh Ramses II had made two obelisks in the entrance of the Luxor temple, temple placed in the center of the old city of Thebes. The obelisk of “la Concorde” is one of them. In 1830, the viceroy of Egypt Mehemet-Ali offers to France the obelisks of Luxor. 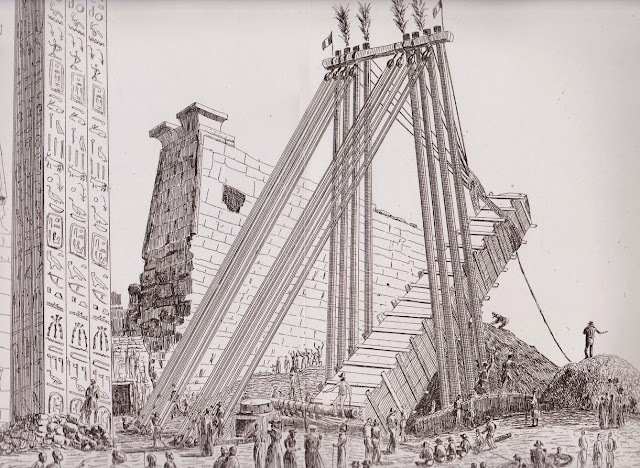 The other part of the “present”, the second Obelisk, remained in Luxor, France not wishing to launch again such an operation! In the background of the photo above, we can admire the “Galerie du bord de l’eau” of the Louvre. Did you know that in this long corridor, king Henri IV organized fox hunting for his son, future Louis XIII? 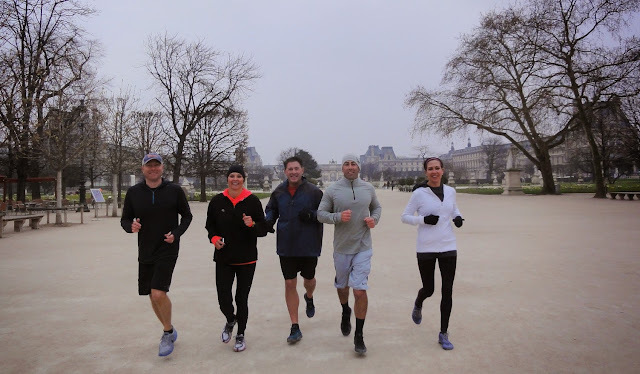 Merci Peter, Marni, Marshall, Jason and Laura !